Our Everett hotel provides accommodations near Seattle along Puget Sound. One of the largest cities in the Puget Sound area, Everett is home to the area's largest naval base as well as the Xfinity Arena. You'll also be able to explore Washington's natural beauty at nearby parks and along the Snohomish River. Our Everett accommodations provide you with comfort and convenience at a great value. Our ideal location in the city center puts you in the heart of Everett, with easy access to Providence Regional Medical Center and Everett Community College. Our rooms include travel essentials, like Wi-Fi and a complimentary morning buffet, so you can stay relaxed and refreshed during your trip. We also have group rates and many travel packages, so you can get more for your stay. Pets are accepted. Pet fee is $25 per day, with service animals being exempt from surcharge. Puget Sound has the Pacific Northwest's signature natural beauty. 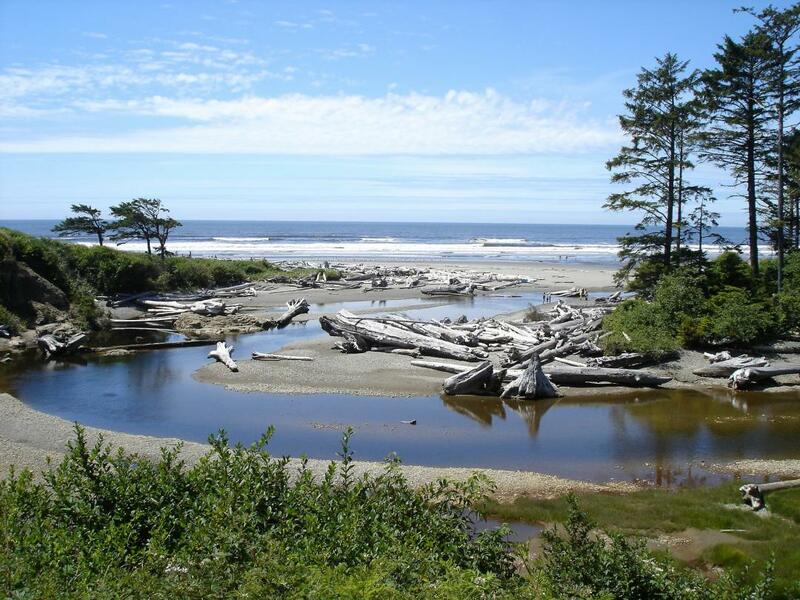 Nearby Jetty Island Park and Spencer Island Park both provide a relaxing retreat in nature. Legion Memorial Golf Course, up the road from our hotel, has golfing right along the water. Naval Station Everett is the Puget Sound's naval homebase, hosting the USS Nimitz. Xfinity Arena hosts sports and concerts, including Everett Silvertips hockey games. Everett is also home to the largest public marina on the West Coast. Focus on adventure. We'll handle everything else. Our Everett accommodations come with travel necessities at a great value. Wake up with our complimentary breakfast buffet, served each morning. Keep up your routine in our fitness center, and later, relax in your room with complimentary Wi-Fi. In addition, our knowledgeable staff is always on hand to help you with your travel needs. A convenient hotel near Seattle, Red Lion Inn & Suites Everett is a comfortable place to make your home away from home. As one of the newest Everett hotels, we maintain strict control over our prices by offering the best available rate and most competitive specials on our website. However, if you do happen to find a lower rate, please contact our hotel, and we will adjust your reservation. Call us today to learn more about our hotel accommodations and make a reservation online to stay at our hotel in Everett. Keep the hassle out of business travel, and stay productive at Red Lion Inn & Suites Everett. Just 25 miles outside of Seattle, our hotel puts you near local businesses including Boeing, The Xfinity Center, and the US Naval Station. Our business center allows you stay in touch with the office. Print boarding passes, documents, and other important collateral. Our Everett business hotel offers the ideal amenities to prepare for client meetings, corporate presentations, and other important work-related events. Stay productive and accomplish everything you need to while staying at Red Lion Inn & Suites Everett. Everett dining features delicious options for American and Italian cuisine, plus great coffee and more. During your stay at Red Lion Inn & Suites Everett, take time to sample these local eateries. Wake up each morning with our complimentary daily breakfast buffet. Afterward, try some of our local favorite Everett restaurants for lunch and dinner. This neighborhood microbrewery has a family-friendly restaurant that serves classic comfort foods including chili cheese fries, buffalo wings, and a variety of burgers. There's also a children's menu with chicken strips, macaroni and cheese, and more. Located at the Everett Marina, Lombardi's serves fresh, seasonal dishes with flavors inspired directly from Italy. Dine at Lombardi's for lunch, dinner, and happy hour every day. Seasonally changing fresh sheets let you partake in the freshest local ingredients. This cute café along the shore serves coffee, sandwiches, and treats from 7am to 5pm. The friendly staff and calm atmosphere draw in many locals. They serve everything from bagels to tea to sweet baked goods. Every morning, we prepare a complimentary breakfast for guests at Red Lion Inn & Suites Everett. With a wide variety of options, you’ll be able to fuel up with fresh fruit, cereal, and more. We also offer fresh coffee and tea to help energize you for a productive day ahead. With convenient accommodations in the heart of town and just 25 miles from downtown Seattle, Red Lion Inn & Suites is an ideal spot for Everett group travel. Our hotel features 400 square feet of Everett meeting space, perfect for regrouping after a meeting or presenting to a small audience. Our Everett group accommodations provide daily breakfast, coffee, a business center, and more amenities to ensure your group gets to their destination in comfort. Request a proposal online for inquiries about group rates, packages, and to reserve our meeting space. In need of a block of guest rooms for your next trip? The Red Lion Inn and Suites offers convenient and easy group room blocks for all types of travel. Whether you are in town for a meeting or in town for a family reunion, we can provide affordable group room rates for your next adventure. Let us handle the group room coordination while you focus on exploring. Just 25 miles outside of Seattle, yet still on the shores of the Puget Sound, Everett has a mix of urban and rural points of interest. From outdoor activities on the water to scenic golfing, there's many Everett attractions to explore during your stay. Stay with Red Lion Inn & Suites Everett for convenient accommodations in the center of town. You'll have easy access to Boeing, Naval Station Everett, and more things to do in Everett. Pack up the clubs and be ready for 18 holes of golf. Legion Memorial Golf Course, one of the best golf courses in Everett, is just a five minute drive from Red Lion Inn & Suites Everett. The course is ideally located near the Evergreen Arboretum & Gardens along the Snohomish River. Legion Memorial Golf Course features PGA Teaching Staff for lessons, and it’s the perfect spot for company outings, family gatherings, and charity events. Their pro shop has a wide selection of equipment, apparel, and accessories. Sometimes when you visit a new locale, you need some local knowledge. At Red Lion Inn & Suites, we’re glad to share our favorite places to spend time in Everett. Check out these overlooked attractions in Everett, and if you’re looking for more recommendations, feel free to ask our staff during your stay. Come home with a piece of homemade pottery from The Ceramic Place. This local art store has both ceramic painting and glass fusion in their studio. Kid friendly glass is also available. Monthly events include Paint Til You Faint, where they’re open until midnight. See the history of flight at this exciting museum. As the headquarters of Boeing, Everett has had a long history with aviation. At the Flying Heritage Collection, you can see a range of World War Two era fighter jets, along with state-of-the-art supersonic planes and more. See local and national artists at Shack Art Center. Everett’s own artistic history includes Chuck Close, the celebrated contemporary portrait artist, whose massive portraits and mosaics have earned international fame and renown. Take a class, see their exhibits, and visit their studios. This secluded 28-acre park lies right along the beach. A playground and an off-lease area for dogs make it perfect for an afternoon of relaxation. Enjoy the sandy shore, and take a pic on its scenic pedestrian bridge. In the evening, it has a perfect view of the sunset. One of the largest cities on the Puget Sound, Everett has a host of outdoor attractions awaiting you. During your stay at Red Lion Inn & Suites, take advantage of the local gardens, arboretums, and more. The Pacific Northwest’s famous natural beauty is an attraction in and of itself. 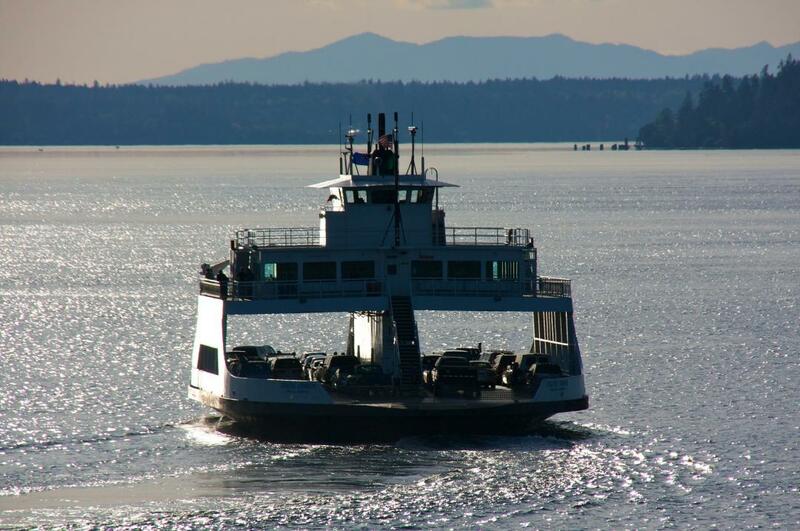 This ferry ride takes you from nearby Mukilteo to Clinton, straight across Possession Sound. Large, Olympic-class ferries travel at 17 knots across the water. The 20 minute ride is an excellent way to see the local waters. Home of the Mukilteo Historical Society, the Mukilteo Lighthouse is a small, quaint museum on the shore. The lighthouse is still functioning to this day, with a Fourth Order Fresnel lens that has a range of 12 nautical miles. The romantic area around the lighthouse has landscaped grounds and interesting works of architecture. You can even see the Northern Lights in certain seasons. This garden at Everett Community College represents a compressed world of mountains, forests, lakes, rivers, and villages. Self-guided tours are free during days when college classes are in session. The garden has eleven primary elements. The centerpiece is the Iwakuni footbridge, which is made of wood salvaged from the Kintai Bridge in Everett’s sister city, Iwakuni, Japan. Located at Legion Park, near Legion Memorial Golf Course, the Evergreen Arboretum Garden is Snohomish County’s treasure. It’s a place of both beauty and education. The 3 and a half acres have ten gardens, including a Japanese Maple Grove and a Woodland and Conifer Garden. The arboretum is open from dawn until dusk. Everett attractions run the gamut from the history of aviation to thrilling shows. During your stay with us, visit these local attractions for some of the best Everett activities. This 10,000 seat arena hosts everything from sports to touring music acts. It won the International Association of Venue Manager’s Venue Excellence Award in 2010. This modern venue is home to the Everett Silvertips, a Western Hockey League franchise. The Xfinity Community Ice Rink is open for public skating, hockey leagues, and figure skating. One of the Seattle area’s favorite attractions, the Future of Flight Aviation Center is where the Boeing Factory Tour starts out. See how massive commercial jets are constructed, along with seeing the latest innovations in aviation. The Boeing Tour allows you to visit the largest building (by volume) in the world. At night, you can see beautiful views of Mount Rainier from the airstrip. One of the best ways to spend an afternoon is to sit by the shore and watch massive cargo freighters and other ships arrive into the Port of Everett. Everett is the biggest port in Washington, and supports large, high value cargos, especially for the aerospace industry. One of the most important naval stations on the West Coast, Everett hosts an array of ships, including two Guided-Missile Destroyers and two Coast Guard Cutters. About 6,000 sailors and civil service personnel are assigned to the station.